As we try new things in our lives, it is easy to let ourselves become discouraged when we fail. We are our worst critics and we have high expectations of ourselves. 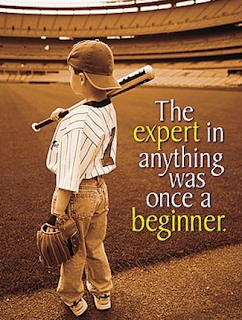 But, we need to remember that the expert in anything was once a beginner. 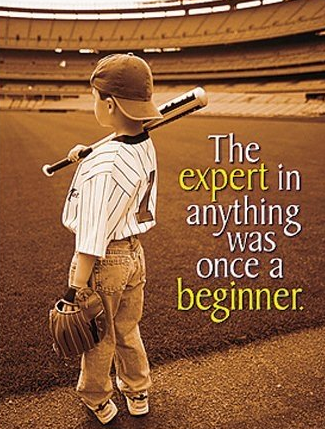 Everyone has to learn the basics and put in some effort before they succeed. Don't expect to walk onto the field and hit a home run or do a perfect cartwheel. Take the time to learn. Be patient with yourself. You will be amazed at what a little time, effort and practice can do.